Popovers are a little tricky to make, so when I want to bake them, there's only one cookbook I go to: Cook's Illustrated New Best Recipe. Unlike most cookbooks, which maybe test a recipe once or a few times, Cook's Illustrated goes through dozens of variations and puts them through a taste-test panel. Is a popover better with pastry flour or a higher-protein flour? Skim or whole milk? Should you leave the oven at a steady temperature or bump the temperature down after an initial blast of heat? Honestly, I'm not going to take the time to figure these things out on my own. But I'm glad someone else did. When Jeff and I were first trying to pick a charity to donate to, I spent a couple evenings browsing the internet. I found a charity that seemed to match our values and had a good reputation. I tried to find dirt on them and couldn't find anything significant. So for the next few years, we donated there. But this was kind of the equivalent of developing your own popover recipe. You'll probably wind up with something pretty good. But someone giving the task 40 hours a week, year in and year out, is almost certainly going to do better. Which is why I'm glad there are professional charity evaluators out there. I'm glad the J-PAL Poverty Action Labs and Innovations for Poverty Action exist to do impact evaluations on different interventions that might help people. I'm glad the Copenhagen Convention exists to advise policy makers on how to tackle the world's most important problems. I'm glad GiveWell exists to recommend specific charities to donors. I'm glad the Cochrane Collaboration compiles the best evidence on health in a format I can (usually) understand. I'm glad that randomized controlled trials of interventions seem to be catching on more. 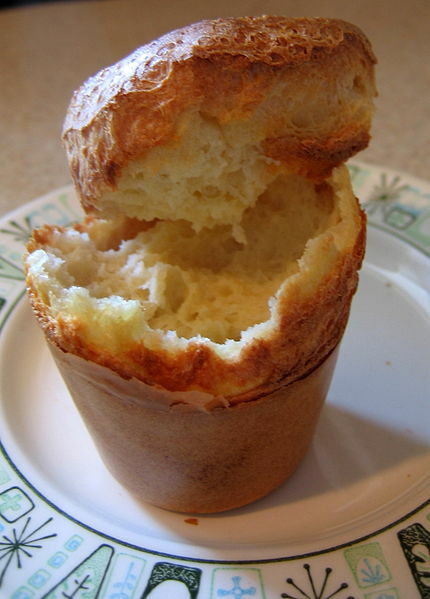 Food.com offers 179 popover recipes. By looking at them, I have no idea which ones are duds and which produce perfect, airy results. Most charity evaluation sites rank thousands of charities, also pretty inscrutable to a casual viewer. I don't want 179 recipes or thousands of charity ratings. I just want the best. There's probably a better popover recipe out there. There are almost certainly better charities out there than the ones I know about, and better ones that could be invented. But in the amount of time I'm willing to give the task, I'm not going to find them. So I'm glad there are people smarter and more dedicated than I am whose job it is to work on these hard problems.